Inside Mirror. Day/Night Black Back. For 63-67, 68-71 ball stud is not included. 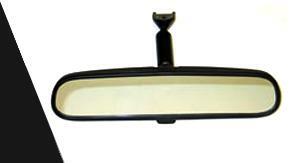 For late model 76-82 the mirror is a second design replacement and mounts to a bracket that is glued to the windshield.